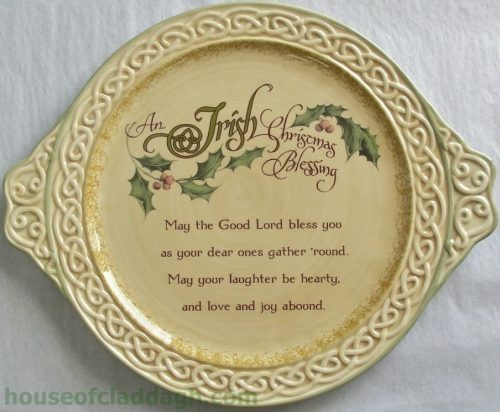 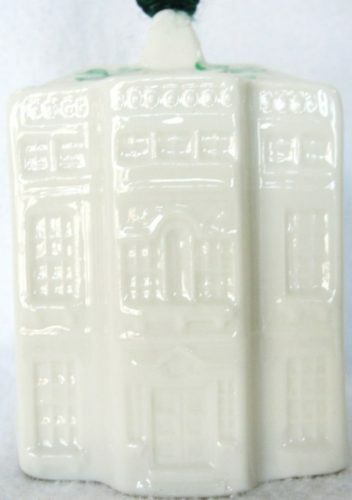 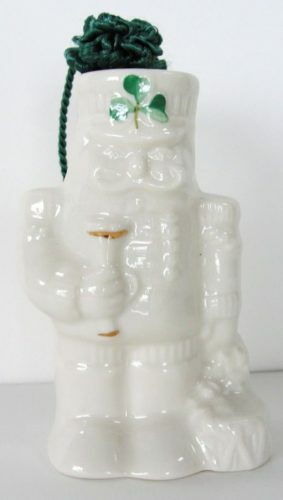 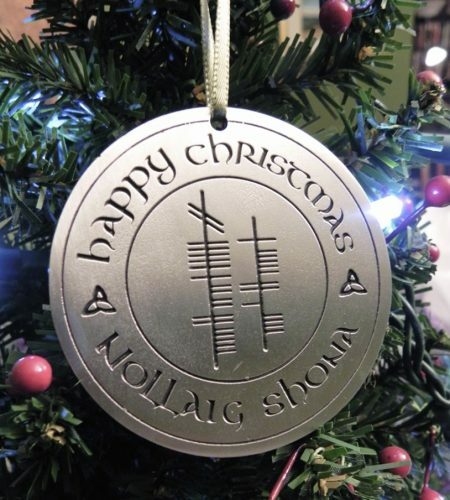 A unique Christmas ornament says Happy Christmas in Ogham, Irish and English and accented with Celtic Trinity Knots. 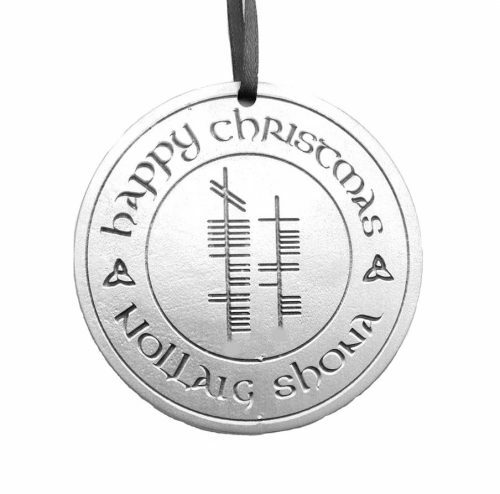 The Ogham characters, which read from the bottom up, represent the Irish/Gaelic spelling of Nollaig Shona. 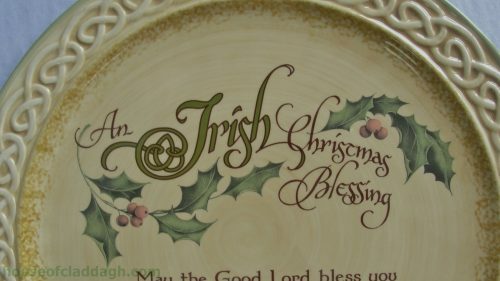 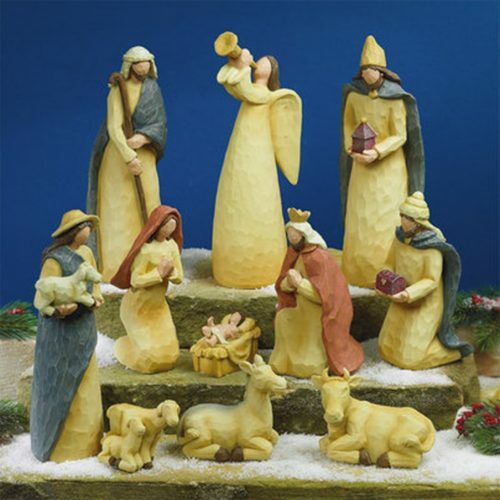 This 2.5″ diameter two-sided ornament, with the same design on both sides, hangs from a green ribbon and is packaged in a moss green organza bag.